Home » Volkswagen Atlas » What is the Cargo Capacity of the 2019 Volkswagen Atlas? The 2019 Volkswagen Atlas has a ton of space, being a big SUV that’s designed for big situations and big families! It offers three rows of seating, with the second and third row being able to be folded down to deliver up to 96.8 cubic feet of cargo space! This means that you’ll need more stuff just to fill it up and take advantage of it! 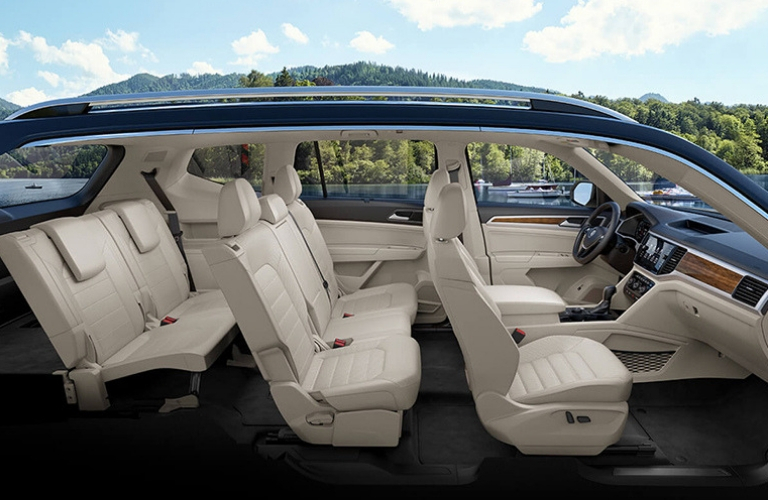 Additionally, the new 2019 Volkswagen Atlas also features the ability to fit three child seats on the second row, meaning that all the kids can have their own little bit of room! Truly, the new 219 Volkswagen Atlas is a massive vehicle. It even carries up to 17 cup holders for you enjoy! 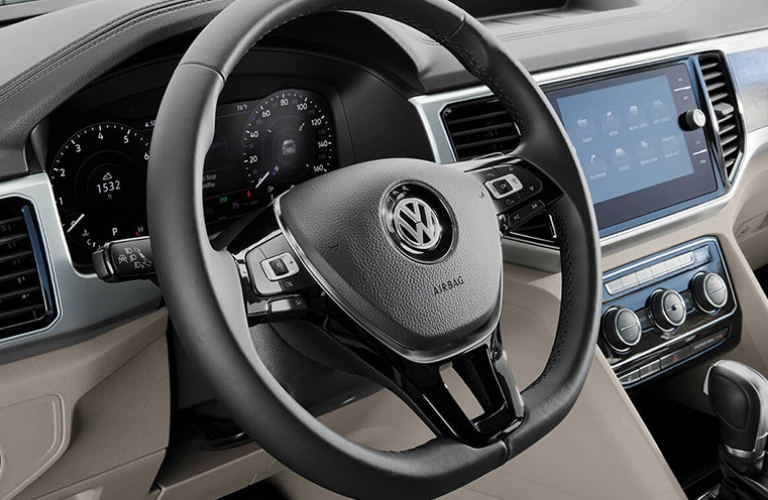 In addition to the immensely large interior, and all the comfort features that the 2019 Volkswagen Atlas has to offer, the new SUV also features many great interior technologies! These technologies include infotainment and entertainment systems, specifically designed to deliver a driving experience that you’re guaranteed to enjoy! One of these available technology features is the SiriusXM® Satellite Radio system, an available system that offers music, sports, news, comedy, and more! This is offered through over 100 channels for you to enjoy! So, if you’re searching for a vehicle that offers a ton of amazing systems and features, as well as an immensely large interior, look no further than the 2019 Volkswagen Atlas! Contact us at Atlantic Volkswagen today to learn more today! What Safety Features are on the 2019 Volkswagen Atlas? What Technology Features are on the 2019 Volkswagen Atlas? This entry was posted on Tuesday, January 15th, 2019 at 7:53 pm	and is filed under Volkswagen Atlas. You can follow any responses to this entry through the RSS 2.0 feed. You can skip to the end and leave a response. Pinging is currently not allowed.